Supreme Court of India on Tuesday issued notice to Enforcement Directorate in a petition filed by Karti Chidambaram, son of former Union Minister P Chidambaram, for quashing of all criminal proceedings initiated against him under the Prevention of Money Laundering Act (PMLA) by the Enforcement Directorate in connection with FIPB approval for Aircel-Maxis and INX Media in 2006 and 2007. Senior Advocate Kapil Sibal,who appeared for Karti said Karti will be arrested by ED once the CBI custody is over (Toda). He submitted that it is the same transactions for which, his client is in CBI custody presently and ED can’t investigate him without any FIR. 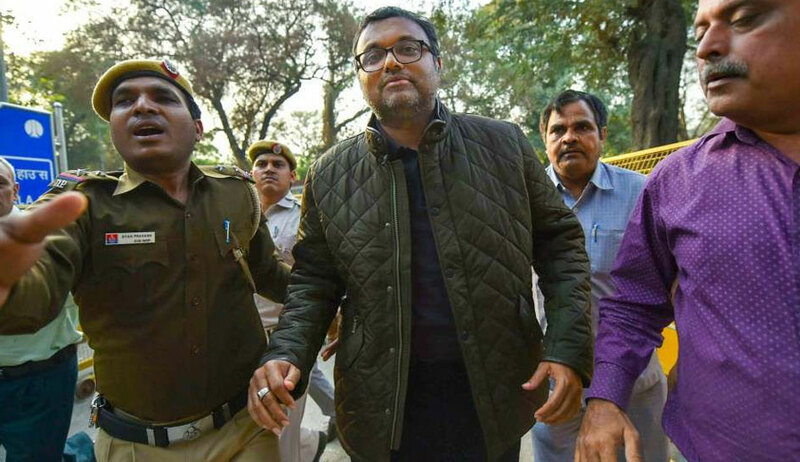 In the petition, Karti said the ED’s action is “the serious infringement of the Petitioner's fundamental right to live with dignity guaranteed under Article 21 read with Articles 14 and 19 of the Constitution of India”. Karti was arrested by the CBI last week in connection with alleged graft to obtain FIPB approval for INX Media when his father was finance minister in the UPA government. Questioning the authority of the ED, Karti said the CBI is already investigating the case, registered on May 15, 2017, and the ED has no jurisdiction to summon him for the same case. He alleged that the ED’s motive is to harass him and disrepute the whole family. “The 2nd Respondent (ED), acting arbitrarily with malice in law and fact, and without authority of law, has unleashed a series of acts to destroy and damage the reputation of the Petitioner and his family which they have assiduously built over the years by leading a life of integrity and honesty. There is a determined campaign by the 2nd Respondent through the media to bring discredit to the Petitioner and his father and embarrass and humiliate the Petitioner in the eyes of the public,” he alleged. Denying all the allegations, the petitioner said he had no connection whatsoever with the FIPB or the approvals granted by the FIPB. “In gross abuse of the process of law, investigations have been launched by the CBI and the 2nd Respondent (ED) against the Petitioner in connection with the FIPB approvals granted in the above two cases,” the petition said.